This recipe is a unique twist on a classic. 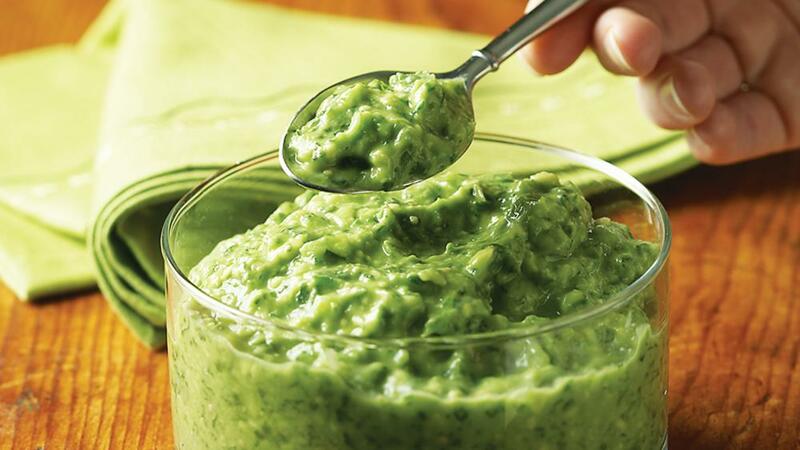 The flavor of the tomatillos in the guacamole will turn your boring dip into a brilliant dish. Pulse all ingredients together in a food processor until slightly chunky. May be made up to 2 days ahead.